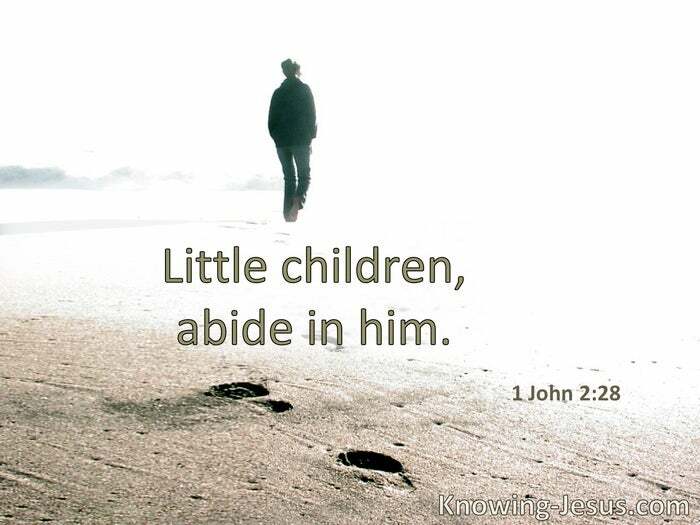 Little children, abide in Him. He who doubts is like a wave of the sea driven and tossed by the wind. … for let not that man suppose that he will receive anything from the Lord; he is a double-minded man, unstable in all his ways. I marvel that you are turning away so soon from Him who called you in the grace of Christ, to a different gospel, which is not another… Even if we, or an angel from heaven, preach any other gospel to you than what we have preached to you, let him be accursed. You have become estranged from Christ, you who attempt to be justified by law; you have fallen from grace … You ran well. 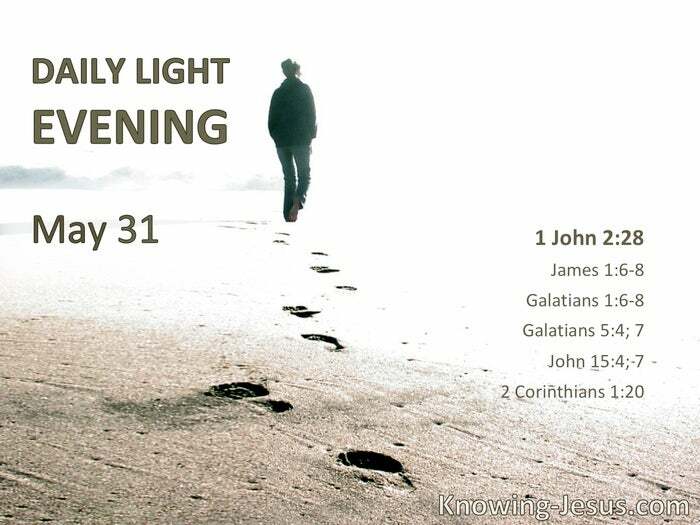 Who hindered you from obeying the truth? As the branch cannot bear fruit of itself, unless it abides in the vine, neither can you, unless you abide in Me… If you abide in Me, and My words abide in you, you will ask what you desire, and it shall be done for you. § For all the promises of God in Him are Yes, and in Him Amen, to the glory of God through us.